Founded in 1988, Organic Valley is a cooperative of farmers producing award-winning organic food in a way that honors the health and welfare of people, animals and the earth. 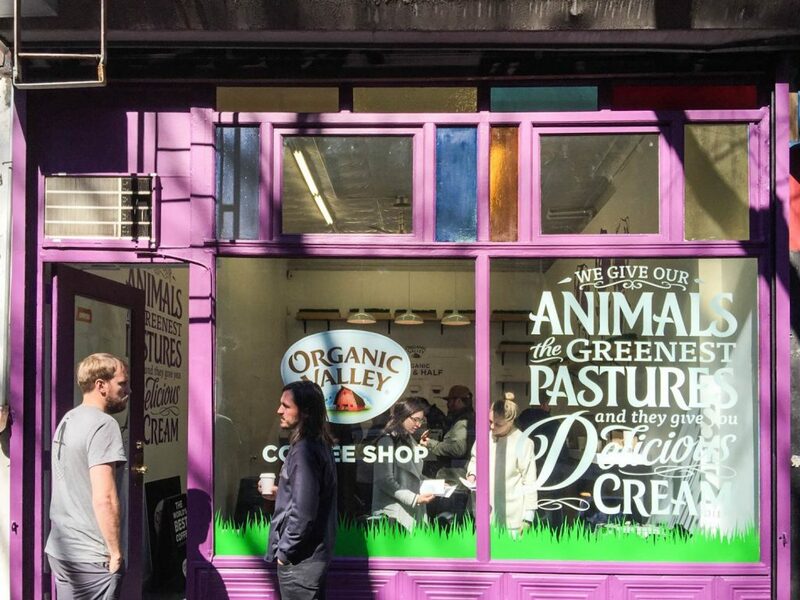 Organic Valley opened a pop-up coffee shop at Parasol Projects, 171 Elizabeth, to prove to New Yorkers that the secret of a great cup of coffee is its organic creamy milk from pasture-raised cows. For only a weekend in April, the coffee shop served about 60,000 New Yorkers.